From bear paws, to raw fish, to red fish. Hunting and fishing are perhaps the oldest pastimes in Siberia that people still enjoy today. 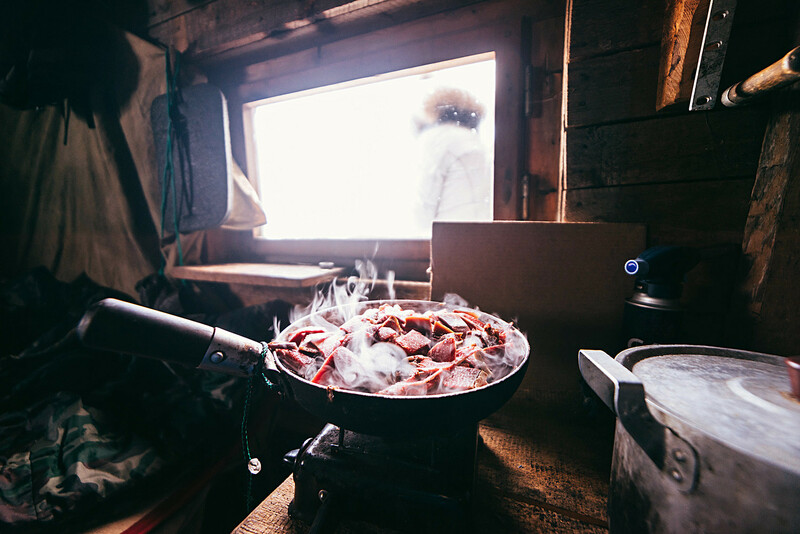 That’s why the local delicacies are wild meat and fish combined with taiga herbs, berries and mushrooms. This is what you must try if you ever come to this part of Russia. 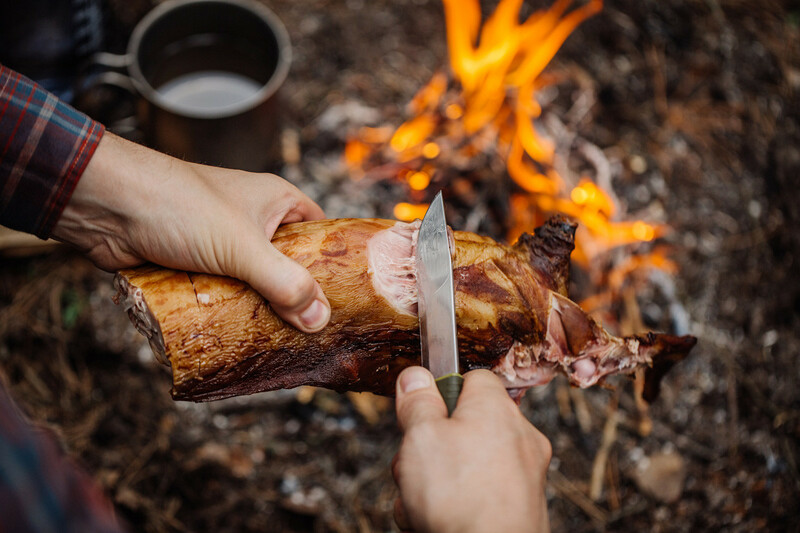 In order to prepare this hunting dish, the wild meat must be cut into long thin slices, salted, and impaled on wooden bars that are stuck into the earth next to hot coals so that the meat is smoked with taiga herbs: Garlic and fern. This meat is eaten with roasted potatoes and northern berries such as cranberries and cowberries. 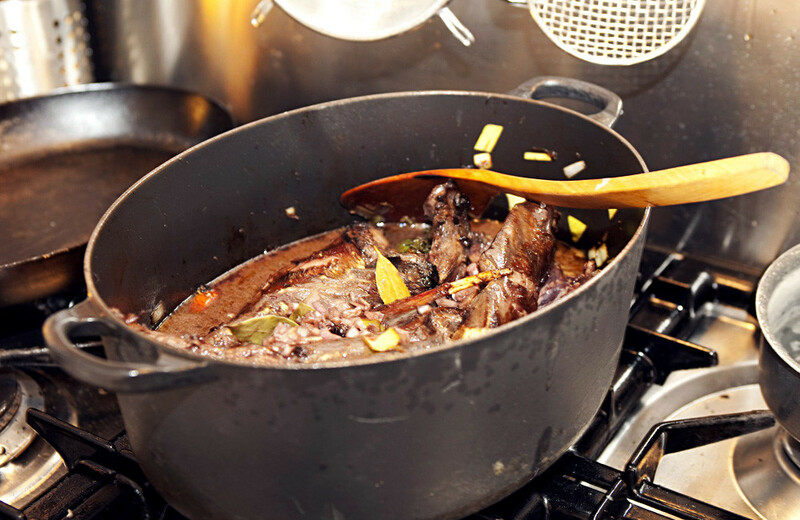 Venison is eaten boiled, fried, stewed, or dried. In restaurants you can try venison soups, hot dishes, and appetizers. We recommend fried venison in cowberry sauce. This is how it’s made: Cut the meat into pieces (against the grain), beat it, then sprinkle ground black pepper and juniper berries over it, and grill it. Serve with cowberry sauce. As a side dish you can use mushrooms and pine nuts. This is a really exotic Siberian dish. First the bear paws are marinated, fried, and then stewed for a long time. The dish must be eaten hot. It’s usually served as an appetizer to vodka and not for the faint-hearted. Today the Russian dumplings are prepared like this: The same amounts of pork, beef, game, and lard are frozen for a short period of time, then chopped as finely as possible and mixed with onion and garlic. The ground meat is then salted, peppered, and mixed with milk. 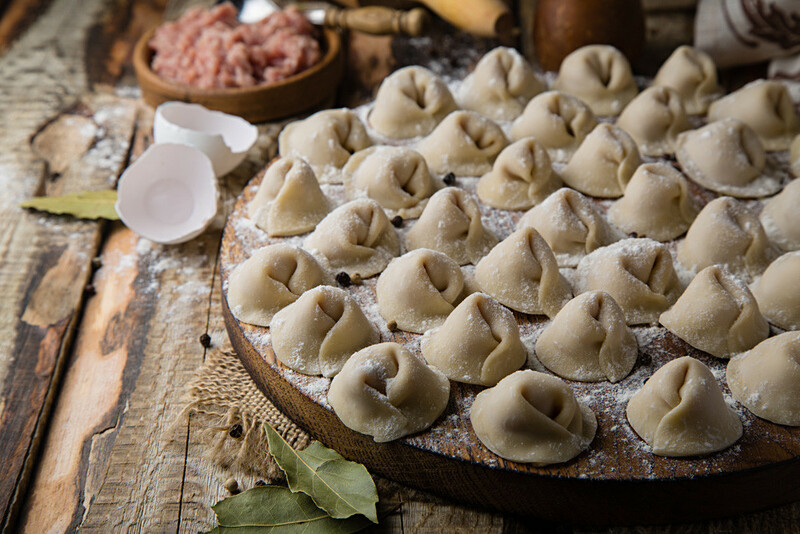 The pelmeni is molded into small bitesize mouthfuls of goodness. In restaurants pelmeni can be served in a pot with bone broth and liver. 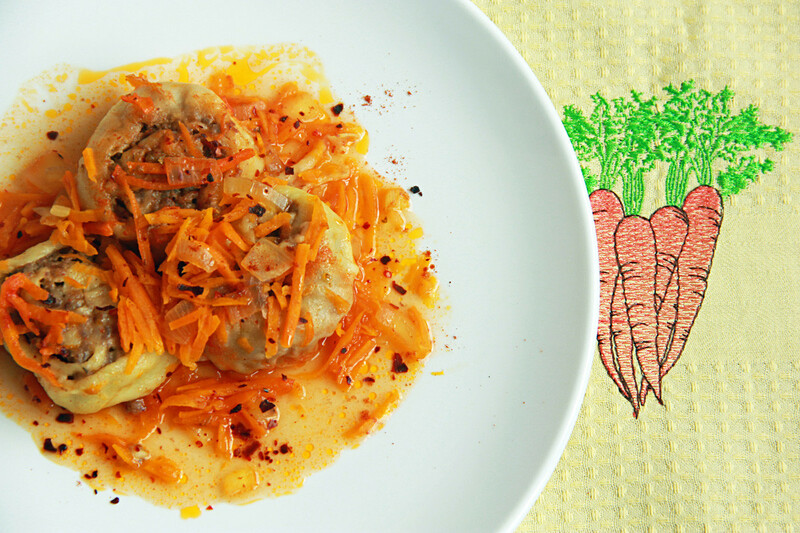 Omul is cooked in many ways: It’s salted, smoked, boiled, or fried. The Baikal fishermen’s traditional recipe is omul on skewers. Make three to four cuts on the fish from the spine to the belly and rub with salt. Then the omul is impaled upside down onto wooden skewers, which are thrust into the ground at a slant over a fire and are constantly turned while being roasted. The omul is also salted in skinned and unskinned form. It’s considered an ideal appetizer for vodka. 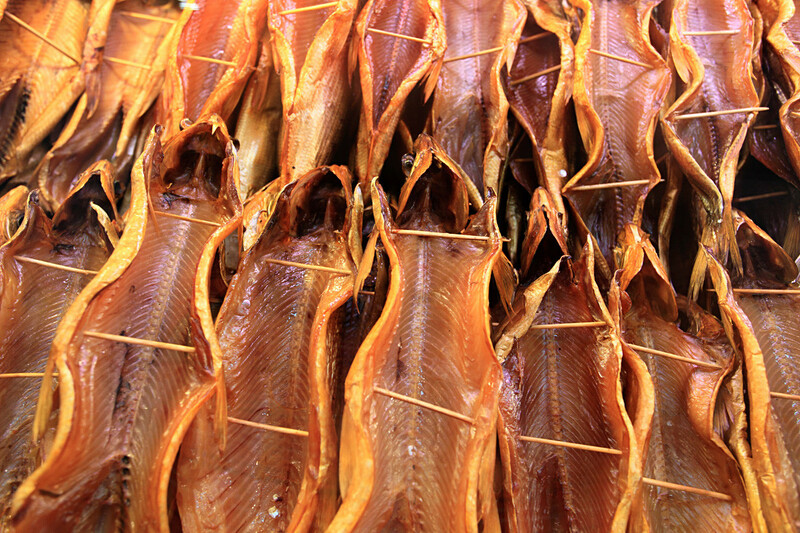 Tourists can buy cold smoked omul as a gift. 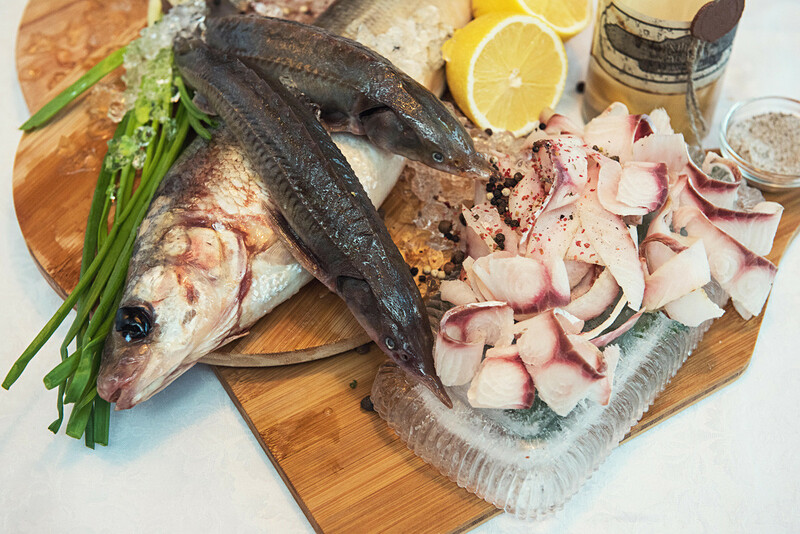 Siberian cuisine has dishes in which fish is eaten raw. Forstroganina slices of frozen fish (or meat) are finely chopped and then heavily seasoned with salt, spices, onion, and vinegar. Zagutai is similar to stroganina. It’s made of finely cut fish fillet - omul or cisco. The pieces of fish are placed in a salt solution (one glass of salt for one liter of cooled boiled water) and then into cans: A layer of fish under a layer of onion and black pepper. Then vegetable oil is poured over everything. You can eat the zagutai immediately. Sometimes spices, mayonnaise, and mustard are added to the oil. Another unusual dish is raskolotka. The fish, for example whitefish, is frozen until it hardens and then it’s beaten with a hammer. It’s then skinned and eaten seasoned heavily with salt and black pepper. Gruzinchiki are fish rolls. Prepare a thin dough, as if for pelmeni. Roll it out and put the minced fish meat, which should first be fried with salt and onion, on the dough. Then the dough is wrapped into rolls and cut like salami into thin slices, which are fried and served with melted butter. In Siberia people make countless types of pies with diverse fillings: Fish, berries, meat, vegetables, cottage cheese, cabbage, egg, and cherries, just like in many other countries. But the region’s specialty is pirogi with…fish fat. Before, the fat was obtained by melting and remelting pieces of fish with a small quantity of water in a boiler. Then it was placed into dough. In the Old Believer villages you can still try these pies today. 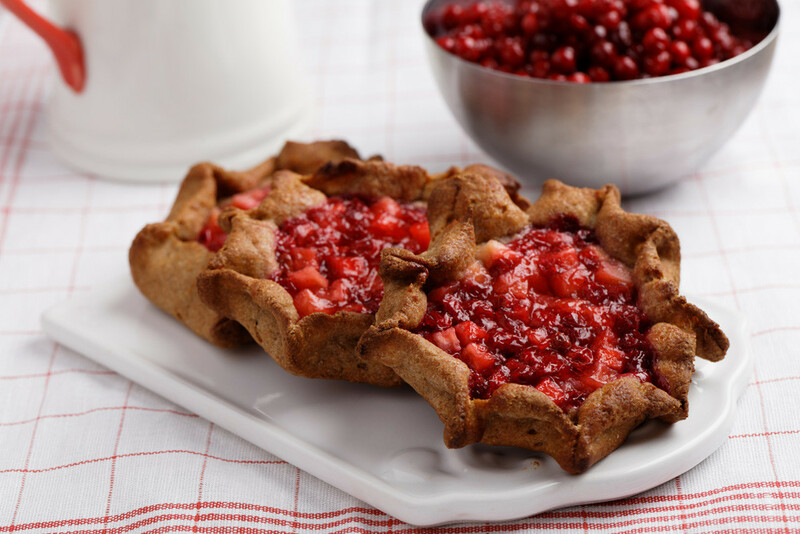 More common are shangi - open pies with filling made of potatoes or vegetables, cottage cheese or cherries. Pirogi that are pinched at the edges are called sgibni. 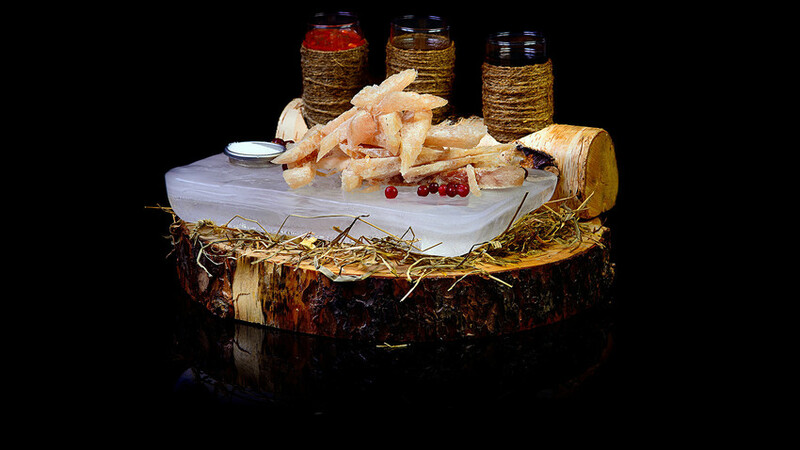 In order to make goroshnitsa you need fat from the red fish that swims in the Angara River. 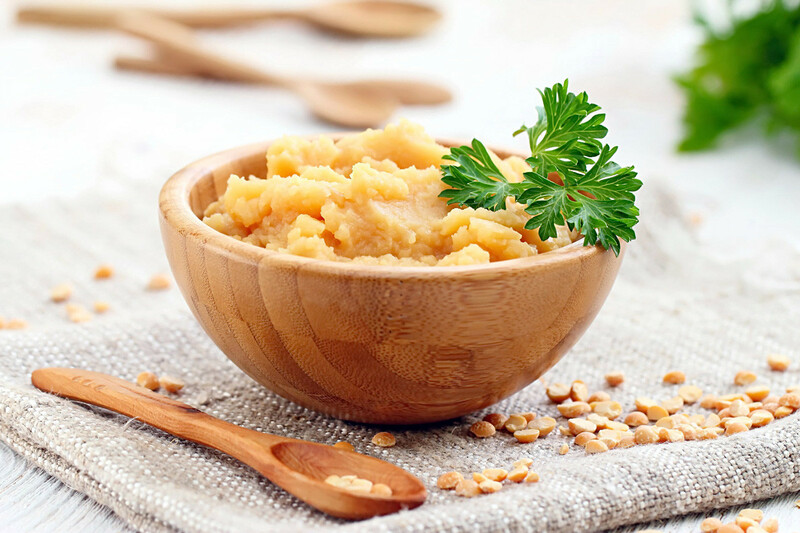 Grind dried peas into flour, mix with boiling water, and keep in a water bath. Cool the mass, cut it into rectangular plates, and pour the visceral fish fat over them. When kneading dough for bread, remove a small part. Mix it with water and set it aside until obtaining some residue. Pour out the water. Repeat the procedure twice. 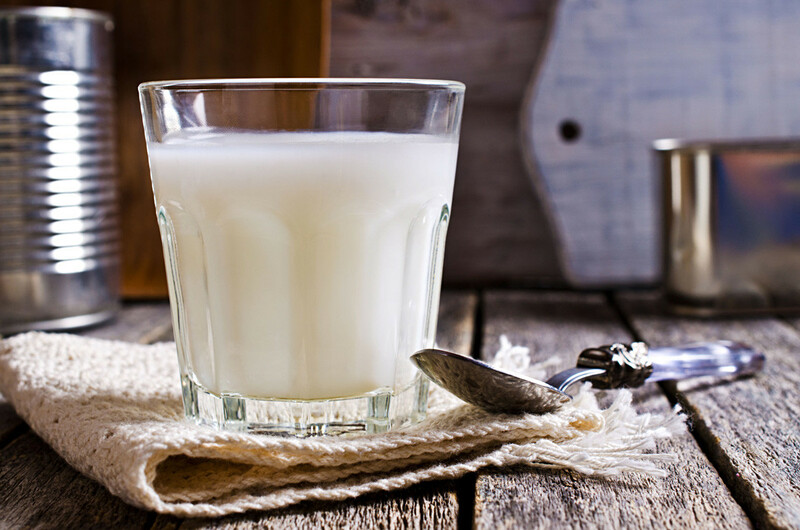 Then pour boiling water or milk over the residue. As a result it turns into a dense and delicious kissel, the Burduk. Don't forget to read our text on 6 culinary experiences fit for a Trans-Siberian journey.